Below are future breeders that are now spending their time growing up. 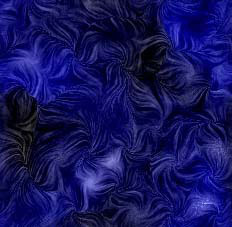 They will be replacements to some of our current breeders. 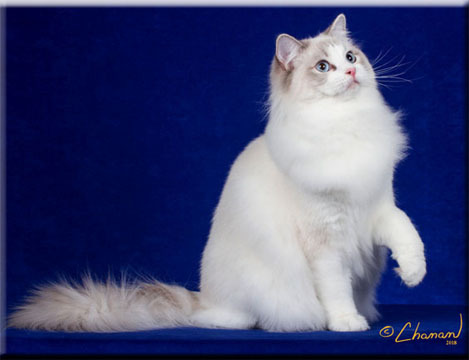 We do not keep our Ragdolls as breeders any longer then necessary as they deserve a loving home either with us or pet owners. Sandpiper is a very sweet girl with a thick plush coat that loved showing. 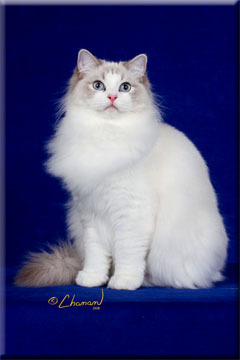 She became a CFA Grand Champion at the age of just 8 months and ended up a CFA Regional Winner (Kitten). 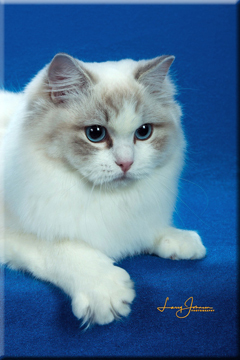 We look forward to when she is a breeder for us. Crystal is a big, playful girl who loves her people. She has a beautiful coat. 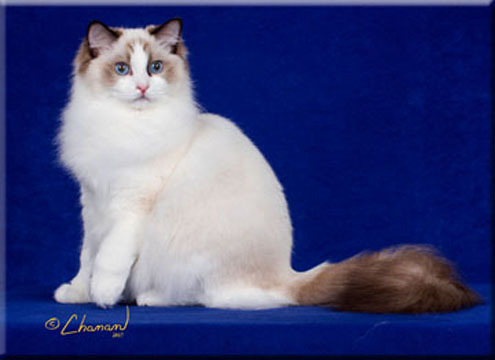 She became a CFA Grand Champion at the age of just 8 months and in just two shows. Symphony is a beautiful girl with a sweet face and beautiful coat. Symphony granded in just 3 shows with lots of competition and just 10 days past 8 months old. We're so proud of her. NOTE: Copyright © 1999-2018 All rights reserved. 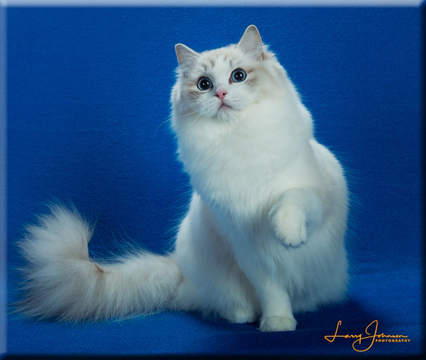 This website is the copyright and sole property of SuPurr Ragdolls. 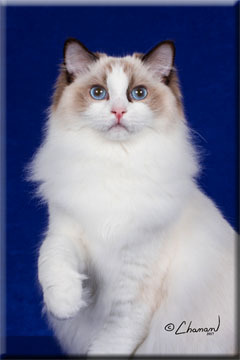 It is unlawful to copy this website or any components, including pictures, without the written permission of SuPurr Ragdolls.